Webbing should pass across bone structure ( the lap or centre of the shoulder). On lap and diagonal belts the buckle should lie just on or below the hip. 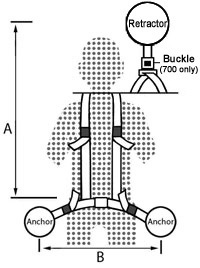 There should be no slack webbing when the Seat Belt/Harness is worn. 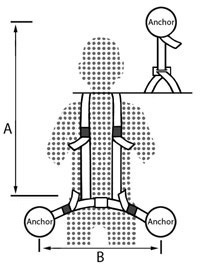 Where the Retractor has a pendulum (vehicle sensitive), the retractor angle is specific. These are complete Seat Belts/Harnessess - old/new parts should not be mixed. 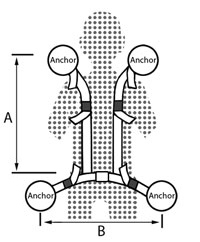 Dimensions are approximate and are from the centre of anchorage holes/mouths of buckles.